Fans of punk flavored folk and rock, listen up; we’ve got a new local (via Shreveport, LA) talent you need to be sinking your teeth into. 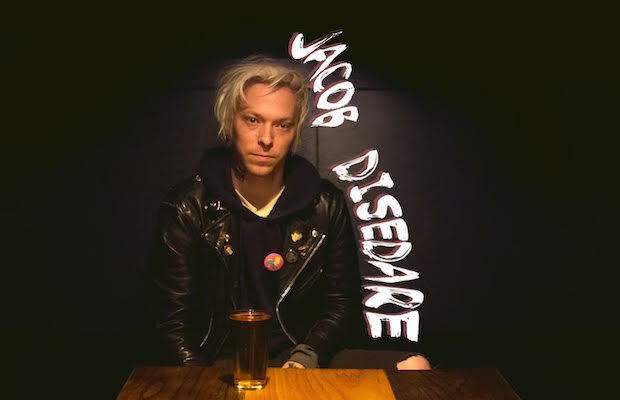 Singer-songwriter Jacob Disedare is, aside from the work he does with rock outfit Fur on Fur, currently promoting his solo career, and we jumped at the chance to debut his new cassingle a few days before the official release this weekend. The A-side “Muse,” features heavy guitar riffs and big drums that show Disedare’s affection for grungy garage rock, while the B-side, “These Days I,” features a more stripped back approach that feels influenced by Elliott Smith in its exploration of isolation and boredom. Both singles will appear on an upcoming debut solo record, but you can grab the cassette release starting this weekend. Check out the tunes after the jump, and be sure to catch his single release show on Saturday Nov. 19 as part of a heady bill at The Glass Ménage featuring like minded rockers Sad Baxter and Heinous Orca. Celebrate 25 Years Of Lightning 100 All Week At 3rd & Lindsley!